I love this vintage Valentine! This is such an unusual Valentine's Day image, but it's so cute! 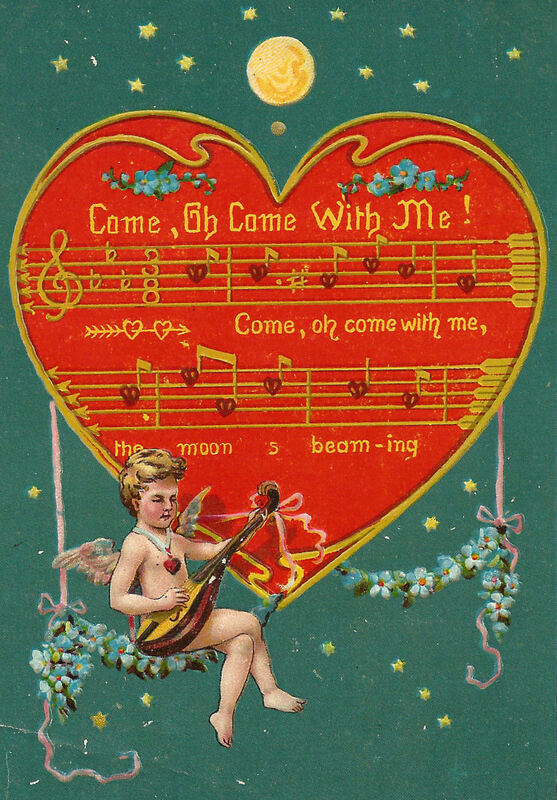 The song and the cupid playing the musical instrument are precious. My heart would definitely swoon if I were given a Valentine's Day Card with this graphic on the front of it. I hope you enjoy!